The Strategic Action Plan and Preparedness Mechanism, mean the City of Athens has two tools at its disposal that will enable it to assume a more active role in the monitoring and management of migrant and refugee-related issues within its geographical boundaries. At the same time, the City is consulting with other European cities on integration issues, exchanging information and best-practices. The Mayor of Athens, Mr. Georgios Kaminis, stressed that, "since 2015, when the refugee crisis broke out, the City of Athens assumed a proactive role, taking on the responsibility of implementing a comprehensive refugee management plan to safeguard human rights and protect social cohesion and the smooth operation of the city. Today, we are again assuming a leadership role. In cooperation with the Hellenic Statistical Authority and EUROSTAT, we will use all available tools to promote social integration, while at the same time we will build on the Cities Network for Integration, which is currently joined by 13 municipalities from all over the country. " The Deputy Mayor for Migrant and Refugee issues, Mr. Lefteris Papayannakis, stated that, “through concerted efforts and synergies with many private and public bodies, the City of Athens can assume a key role in supporting and strengthening activities that promote integration. The Athens Coordination Center for Migrant and Refugee issues can play a central coordinating role in this effort." The Strategic Action Plan sets out a clear framework with specific objectives that will strengthen the role of the Municipality and link its services to civil society. The plan will serve as a guide to strengthening services within the city as well as provide better information on services offered through existing online platforms. The creation of the plan was based on extensive mapping of services within the Municipality and extensive consultation with representatives from civil society and international organizations, to identify challenges and develop policies based on identified needs. Contributions from ACCMR have been key to this effort. In addition to integration planning, the guide to a Preparedness Mechanism for effective response to future refugee crises in the Municipality, codifies a preparatory actions and systems so that the Municipality’s administrative and operational arms can respond successfully to future events. The guide was developed with the financial support of the European Civil Protection and Humanitarian Aid Operations (ECHO) and technical support from the International Rescue Committee. UNHCR also provided important advisory support. We have all seen images of the refugee plight in recent years: families struggling to reach the shores of Greece; small children left alone in a foreign country. While international agencies and organizations have dedicated vital resources to address emergency needs, no city could have been prepared enough to respond to the unprecedented humanitarian crisis. Recognizing the need for more strategic and coordinated deployment of services and funds, the Athens Partnership collaborated with the Municipality to launch the Athens Coordination Center for Migrant and Refugee issues (ACCMR). 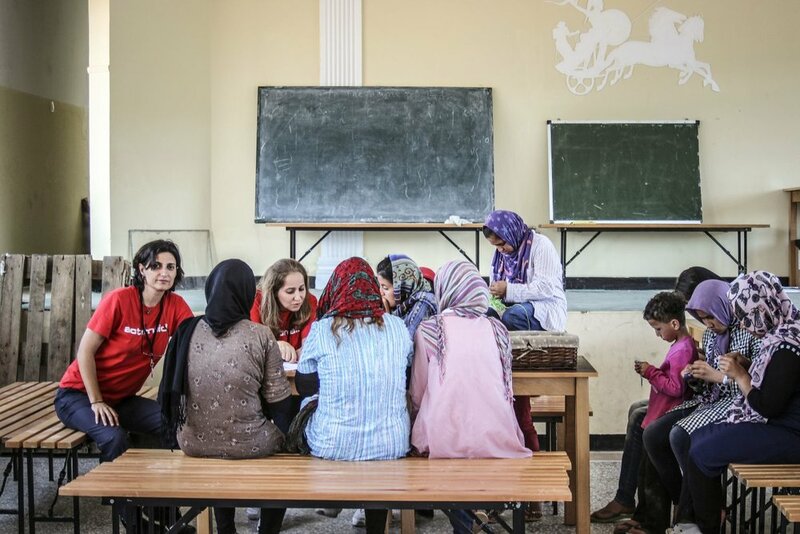 ACCMR brings together 93 of the largest national and international refugee organizations to better manage resources, share data, inform policy, and anticipate future needs. Asef Farjam, Open Society Fellow and member of the European Migrant Advisory Board remarks: "The Athens Coordination Center for Migrant and Refugee issues plays a key role in helping refugee communities make their voices heard. Through the ACCMR, they can influence decision making and help shape policy to address real needs effectively." This holiday season please consider a gift to help us continue in this work and improve the lives of residents—new and old—in Athens, Greece. The meeting was the first of many for the "Cities Network for Integration", an initiative of the Cities of Athens and Thessaloniki, which brings together 12 municipalities across Greece. Organized by Athens’ Vice Mayor for Migrants and Refugees, Lefteris Papayannakis, participating municipalities include: Athens, St Demetrius Attica, Heraklion Crete, Thessaloniki, Ioannina, Karditsa, Larisa, Livadia, New Philadelphia Attica, Piraeus, Trikala and Tripoli. Speaking to the importance of this issue, the Mayor of Athens, Georgios Kaminis, remarked: "Cities are the ones that safeguard Europe's honor when it comes to the refugee crisis; from day one, we have tried to fill gaps left by the central administration, to uphold international obligations, and ensure human rights and dignity in our city. We assumed responsibility, in cooperation with the United Nations, of coordination of non-governmental organizations active in refugee support. With the creation of the Athens Coordination Center for Migrant and Refugee issues (ACCMR), we aim to focus on social integration of refugees into city operation". 37 municipality representatives, including Mayors, Vice Mayors, and Municipal Working Teams, attended the event, where they sought to definite initial political and technical actions. The "Cities Network for Integration" was established in January 2018 with a Memorandum of Understanding between the municipalities of Athens and Thessaloniki. It acts as a forum for consultation, ideas exchange, partnerships, and the promotion of coordinated actions to develop policies for the social integration of refugees and immigrants into the life of cities. With founding support from the Stavros Niarchos Foundation, and coordinated by the Athens Partnership, the Athens Coordination Center for Migrant and Refugee issues (ACCMR) is currently implementing the first round of agreed upon actions. ACCMR is collaborating with the International Rescue Committee (IRC) for this implementation, with support from the European Union's Civil Protection and Humanitarian Aid. More than 14,000 refugees and asylum seekers currently live in Attica, with an additional 7,500+ in cities in the rest of Greece, as a part of the UN’s ESTIA housing program. Given the gradual allocation of housing responsibilities to local actors and the consequent need to link a national refugee integration strategy with corresponding local strategic plans, the initiative seeks to contribute positively to the planning and sustainability of relevant interventions. More specifically, since the initiative’s inception, 17 bilateral meetings have been held to map the needs of each municipality and collect data for defining a plan of action, which were firmed into draft guidelines during this workshop. These new plans aim to encourage the employment of refugees, improve the transition of the refugee population from primary to secondary education, implement training programs for local government on the provision of services to migrants and refugees, as well as strengthen legal support and information. These guidelines will be used as the basis for future talks at the central and regional level. "Thanks to the Mayors of Crete, the Regional Union of the Municipalities in Crete, the UNHCR, and the Development Unit of Heraklion, we have managed to host 535 of Crete’s total 807 refugees. We are proud to see happy families of refugees walking around the city, with young children going to school, building friendships, and enjoying life. We look forward to seeing the benefits the inclusion of Heraklion in the ‘Cities Network’ will bring, as we strongly believe that with dialogue and cooperation, we can not only serve as a positive example for others to follow, but also enhance our program to become even more successful." "Since the very beginning, the City of Larisa has been an active participant in the refugee housing program. Today, an estimated 400 refugees are hosted in apartments in the city of Larisa, and right outside the city borders there is a refugee camp with an additional 1,500 people. Our experience from implementing this program is extremely positive, and the society of Larisa strongly supports every effort. Our Municipality, through its participation in the ‘Cities Network,’ continues with the same degree of excitement, to do what for us is self-explanatory: focusing our attention to all those in need, our compatriots and refugees." "The local government, the closest institution to citizens, plays a central role in issues of strategy and management related to migrant and refugee issues. The ‘Cities Network for Integration’ is an important initiative envisioned by local governors—characterized by humanity and solidarity—who apply a different approach to refugees, proving that the municipalities can respond successfully. The successful implementation of the ESTIA program by the Municipalities defines the framework that should be used by the National Plan for the Management of the refugee crisis." A 3-day Council of Europe “train the trainers” language workshop was recently hosted at the ACCMR collaborative offices. The ACCMR members have produced 65 proposals for projects and initiatives addressing migrant and refugee needs, while, through the ACCMR, the City of Athens is leading the exchange of best practices and capacity-building for 10 Greek municipalities. Synergies between organizations and agencies also produce concrete actions targeted to migrants and refugees. For example last week, a 3-day Council of Europe “train the trainers” workshop was hosted at the ACCMR collaborative offices, aimed to empower language teachers and provide them with the tools to adapt effective teaching to migrant and refugee needs. In addition, the second workshop coordinated by ACCMR members to address barriers to migrant and refugee integration in the job market was held, including representation by private companies and the opportunity for participants to engage in speed interviews. As an indication of the ACCMR’s success, in partnership with the International Rescue Committee and with the support of the European Civil Protection and Humanitarian Aid Operations (ECHO), the ACCMR expanded its activities on capacity building work towards other Greek municipalities. Going forward, there is great interest from other major international institutions in supporting ACCMR’s work. Read the OECD report’s references to the Athens Partnership and the ACCMR. What do refugees in Greece need today? We have all seen the heart-wrenching pictures: families struggling to safely reach the shore; small children left alone in a foreign country. And according to survey results, more than half the Greek population provided assistance to refugees in some way. A few years after the refugee crisis’ peak—the question today is what do newcomers to Greece need from the state, NGOs, and ordinary citizens? Chloe Tsernovitch, a Greek-American who came to Greece to help at the height of the refugee emergency, worked on the front line in Lesvos for a year and half, where she offered psychological support. Now she works in Hestia Hellas supporting the smooth integration of refugees and immigrants into Greek society. In reflecting on both roles, Chloe remarks, "Support today, long after the arrival of refugees, is equally important. We often see severe anxiety disorders manifesting themselves long after refugees have settled in a new country." Chloe also mentions the daily risks to child refugees in Greece, living as unaccompanied minors. "The ‘refugee crisis’ in the Mediterranean has some specificities which make it different, namely the large diversity of persons arriving at the Greek coasts, mainly in terms of nationality, language, and legal status”, according to the Red Cross, which has been active in Greece since the beginning of the refugee crisis. Great progress has been made against major difficulties, but "further steps need to be taken to overcome linguistic and cultural barriers and ensure people have access to public health services." One major key to overcoming obstacles in refugee services is to have access to accurate and up-to-date information, as the situation changes rapidly as new population groups arrive. In response to this need came the Athens Coordination Center for Migrant and Refugee issues of the Municipality of Athens (ACCMR), which brings together 85 international and Greek refugee and immigrant-focused organizations, together with relevant authorities of the Municipality. With the founding support of the Stavros Niarchos Foundation, the Center operates under the coordination of the Athens Partnership, an independent organization set up in 2015 to build public-private partnerships in Greece. Sotiria Kyriakopoulou, Refugee and Migration Program Manager at ActionAid Hellas, believes these new tools are very useful: "The Coordination Center has created a stable, open channel of communication between organizations and municipal services. The Municipality informs us of the services available and organizations respectively transfer the information to refugees and migrants, to help them access services. We in turn transfer our detailed information on refugee needs to the Municipality, so that it can shape its services accordingly." This effective coordination is all the more important given that resources for refugee and migrant support are becoming more scarce, as many international agencies are withdrawing from Greece to address emergencies in other parts of the globe. What do refugees ask of us? It is important to remember that despite the scale of the problem, the massive efforts that took place at the peak of the refugee crisis provided a unique lifeline for many people. However, while many newcomers are past immediate danger, they still need support. Chloe, speaking from personal experience, tells us: "In the face of such great suffering, we often feel that whatever we do will never be enough. However, it is important to remember the difference we have been able to make... Today I see people who continue in their struggle to help refugees, not losing their courage, and that makes me optimistic about the future!" Together with Marina Tomara, Coordinator of the ACCMR’s digital platform, we spoke with Sotiria Kyriakopoulou, Refugee and Migration Program Manager at ActionAid Hellas and ACCMR Health Committee Coordinator, the Red Cross, who also holds a coordinating role on the same committee, and Chloe Tsernovitch, Psychosocial Support (PSS) Officer / Counselor at Hestia Hellas. All three organizations are members of the Athens Coordination Center for Migrant and Refugee issues (ACCMR) which brings together international and Greek bodies supporting refugees and immigrants as well as the relevant authorities of the Municipality. ACCMR was created in June 2017, starting with 35 members, reaching 85 members today. The Center has five different working committees covering health, education, access to the labor market, housing and access to rights - legal support. Operating with Stavros Niarchos Foundation as its founding donor, the Center is coordinated by the Athens Partnership. The Council of Europe’s latest handbook on “Promoting Human Rights at the Local and Regional Level” includes the City of Athens’ Open Schools, a program coordinated by the Athens Partnership based on an exclusive grant by the Stavros Niarchos Foundation, as a best-practice example for promoting the smooth integration of refugee children. The Handbook presents 65 good practices implemented in over 25 countries all over Europe, aiming at showing how Local and Regional Authorities can implement initiatives that make human rights a tangible reality at the grassroots level. "By transforming 25 public schools into centres for scientific, creative and sports activities, as well as for language courses for Athenians and refugees, the city of Athens managed to bring together refugee and Greek children, increase the involvement and interaction of neighbourhoods and local schools in the refugee integration process and offer refugee children a safe environment where they can learn and spend time outside of their accommodation centres. In 2015, the city of Athens launched the initiative “Open schools”, a programme aiming to transform the local public schools in the municipality of Athens into centres for sports, creative learning, language courses and other activities for all Athenians and refugees. With this initiative, the school buildings remain open from the end of school hours until 9:30 p.m. on weekdays and from 10 a.m. to 8 p.m. on weekends. Not only do the workshops enhance language skills and cultural understanding of refugee children, but they also contribute to a direct exchange among newcomers and resident population at all age levels. Using the school buildings to host creative workshops for all ages, revitalises the spaces and brings the local community together in an effort to increase the involvement and interaction between neighbourhoods and local schools. The programme is led by the city of Athens and financed by the Stavros Niarchos Foundation. A new digital platform, accmr.gr, was launched today, bringing together all the services and actions of institutions that contribute to social integration and the protection of migrant and refugee rights. The platform is operated by the Athens Coordination Center for Migrant and Refugee issues has been operating since June 2017 with Stavros Niarchos Foundation as founding donor and with the coordination of the Athens Partnership. "The platform allows non-governmental organizations, international organizations, migrant communities, and civil society organizations more widely, as well as municipal agencies, to be easily and properly up-to-date with crucial information and to refer beneficiaries appropriately," said Athens Mayor George Kaminis, adding: "We all need to work together to improve existing services and to draw up appropriate policies, both for dealing with new extraordinary circumstances, as well to promote smooth integration of the Athens migrant and refugee population in the city of Athens"
The new ACCMR digital platform seeks to fill the gap of valid and up-to-date information on services available for the benefit of immigrants and refugees in the neighborhoods of Athens in areas such as housing, health, education, culture, legal support and integration into the labor market. All stakeholders are invited to participate actively, by registering and listing updated information about their services and initiatives. In addition, accmr.gr encourages residents, as well as private companies and other stakeholders to support initiatives and actively participate in the development of an inclusive and socially cohesive Athens. Interested parties can register, declare how they can help with donations, voluntary contributions, know-how or in-kind contributions, and the ACCMR will bring them together with organizations in need of corresponding support. "The Coordination Center's work is an excellent example of a public-private partnership for the benefit of the city. Through the new accmr.gr platform, we are also reinforcing with a web-based tool the work of organizations supporting vulnerable groups of refugees and immigrants as well as all residents of Athens more broadly. This is an added-value initiative, as it can be implemented in other municipalities across Greece, "said Deputy Mayor for Immigrants and Refugees, Mr. Lefteris Papayannakis." More than 180 representatives of organizations, institutions, private companies and beneficiaries participated in the event "We live together - We work together", organized by the Livelihoods Committee of the Athens Coordination Center for Migrant and Refugee issues (ACCMR). ACCMR started operation in June 2017 with founding donor the Stavros Niarchos Foundation and with the coordination of the Athens Partnership and today is made up of 80 member-organizations. The event was organized by the International Rescue Committee (IRC), Solidarity Now, Caritas Hellas, Metadrasi, Praksis, Generation 2.0, Organization Earth, Home, Melissa and Entrepreneurship Academy. 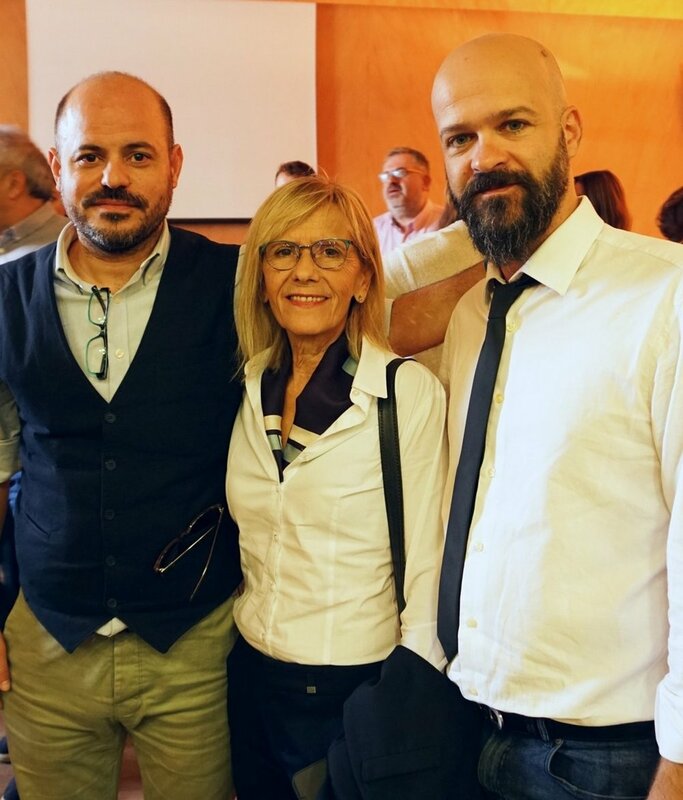 The event explored the creation of the right conditions for the integration of immigrants, refugees and socially vulnerable groups through employment, and the importance of these efforts for all Athens residents. "Access to the labor market is one of the major pillars of the integration process. The challenge for Greece, a country with an official unemployment rate of over 20%, is to find ways to facilitate migrant integration. It is important in this endeavor that stakeholders promote the concept of social cohesion, in order to benefit host communities as well", said Vice Mayor for Migrants and Refugees of the Municipality of Athens, Lefteris Papayannakis. In the context of two open roundtable discussions, it was stressed that efforts to integrate refugees and immigrants involve the well-being of the whole city, not just those specific groups. Also, support services must embrace all vulnerable groups, whether they are new or old residents of Athens. The discussion highlighted the importance of the initiative undertaken by the Athens Coordination Center for Migrant and Refugee issues. The ACCMR aims to offer better coordination between the municipality and organizations, helping to prepare for potential new emergency situations and to promote the smooth integration of the migration and refugee population in the city of Athens. Athens Mayor George Kaminis today visited the Athens Coordination Center for Migrant and Refugee issues and met representatives of NGOs and other organisations which have joined forces under the coordination of the Municipality of Athens to improve service delivery for migrants and refugees in Athens. "The city of Athens is proactively coordinating the voluntary and non-governmental organizations active in the field of migrant refugee support, aiming at social integration in the city", stressed the Mayor of Athens, Mr. George Kaminis, welcoming the representatives of these organizations and thanking founding donor, Stavros Niarchos Foundation for their decisive support. 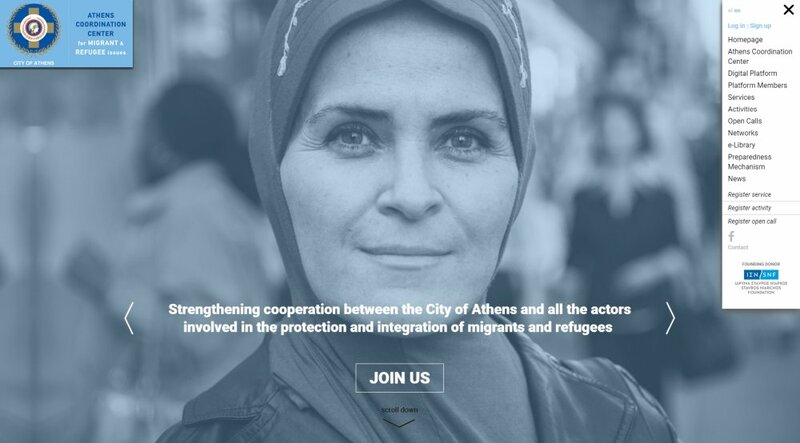 The Center, set up and operating since June 2017 with an exclusive donation from the Stavros Niarchos Foundation and with the coordination of the Athens Partnership, aims to coordinate efforts between the municipality of Athens and all those active in the field of support and integration of migrants and refugees. “The donation for the establishment of the Athens Coordination Center for Migrant and Refugee issues is part of the large donation of €10 million from the Stavros Niarchos Foundation to the municipality of Athens, aiming at strengthening the capital's residents faced with a period of crisis, but also of regeneration opportunities. Initiatives such as these, which highlight the possibilities for public-private partnerships for the benefit of the wider community, are now more necessary than ever", said Myrto Xanthopoulou, a representative of the Stavros Niarchos Foundation's Grant Management. The Athens Coordination Center for Migrant and Refugee issues has 75 member bodies with more than 200 delegates. The Center includes representatives from international and Greek NGOs, international organizations, immigrant communities, as well as municipal agencies. The main common goal is to develop a coordinated response both for dealing with new potential emergencies, as well as for the smooth integration of the immigrant and refugee population in the city of Athens. Recently, the Center led the signing of 3 Memoranda of Understanding with other municipalities in Greece, with the aim of exchanging know-how and support for similar projects at a local level. So far, Memoranda have been signed with the municipalities of Thessaloniki, Trikala and Tripoli. Through the work of the Center’s Technical Committees, gaps and needs have been identified and 65 proposals for pilot actions have already been produced with the aim of meeting the needs of migrants and refugees in areas such as housing, education, health, labor market integration and legal support. At the same time, the Center has organized seminars, presentations and workshops in collaboration with important institutions. For example, the Center coordinates the participation of its members in the Athens - World Book Capital 2018 and is co-organizer of the Refugee Code Week initiative, through which more than 350 young refugees have been trained to date on the basic principles of programming. The refugee and migrant crisis of 2015-6 highlighted the importance of effective mobilization of municipal structures and resources to address urgent human needs. A new study that aims to establish an efficient framework of response in the case of a future refugee emergency is being supervised by the Athens Coordination Center for Migrant and Refugee issues (ACCMR), which was established and is operating with an exclusive grant by the Stavros Niarchos Foundation and with the support of Athens Partnership. A study for setting up a Preparedness and Response Mechanism for the City of Athens is being developed with the financial support of the European Civil Protection and Humanitarian Aid Operations (ECHO) and the technical support of the International Rescue Committee (IRC). A Task Force to support the process was established on the initiative of the Vice–Mayor for Migrants, Refugees and Municipal Decentralization and is composed of representatives of the UNHCR - The UN Refugee Agency, the City of Athens Resilience Office and the Directorate of Social Solidarity and Health. "Following the difficult, but highly enlightening experience of recent years with regard to the management of refugee and migrant flows, we have decided to work on a Preparedness Mechanism so that the City of Athens will be better prepared in case of a new crisis. The fact that the Municipality is taking precaution measures is in itself very important and obviously what matters most is the mechanism’s implementation,” explains Lefteris Papayannakis Vice – Mayor for Migrants, Refugees and Municipal Decentralization. An important step in this process was recently completed. The ACCMR organized two workshops on contingency planning and crisis management on 15 December and 9 January at the Orange Grove venue, courtesy of the Dutch Embassy. The two workshops, supported by the IRC, provided a unique opportunity for a participatory technical discussion, involving city services and other key players. A total of 28 stakeholders participated in the workshops, including 13 specific bodies of the municipality, the Identification and Reception Service of the Ministry of Migration Policy, Attica Region, the UNHCR, Non-Governmental Organizations, namely, the Greek Council for Refugees, Action Aid, International Rescue Committee, Solidarity Now, International Organization for Migration, Unicef Greece and academia. During the first workshop, participants used their experience and know-how to formulate three practical crisis scenarios for Athens and for each scenario, they assessed the risk probability depending on the possible occurrence of the hazard and the intensity of the emergency. The impact of the hazard depends on the loss or damage to the health and life of refugees and migrants and on the system's ability to respond to the emergency. The emergency situation may result from sudden internal flows or new mixed migration flows. During the next seminar, participants defined the basic municipal organizational structures and responsibilities to guide the City of Athens when involved in a refugee emergency. They also set out the main required preparatory actions to ensure an effective implementation of the contingency plan. These workshops will inform the wider study of the Preparedness and Response Mechanism for the City of Athens, due to be completed by the end of February, which will include suggestions for the institutional integration of a preparedness and crisis management plan into the municipal structures. The need for crisis management mechanisms is also recognized as a high priority in “Athens Resilience Strategy for 2030”, where large influx of refugees is identified as one of the main challenges of the city. The City of Athens received €5 million award to implement the proposal “Curing the Limbo” which was submitted to the second call of the Urban Innovative Actions initiative of the European Union. The results were announced during the European Week of Regions and Cities 2017 in Brussels. Urban Innovative Actions (UIA) is an Initiative of the European Union to provide urban areas throughout Europe with resources to pilot innovative solutions for complex urban challenges. Among the themes of the second call were (a) the integration of migrants and refugees, (b) circular economy and (c) urban mobility. Athens’ proposal in the topic “integration of migrants and refugees” was selected along with 15 out of a total of 206 proposals from 21 European member states. The City of Athens’ proposal “Curing the Limbo” is about empowering stranded refugees who have been granted asylum to get out of a characteristic state referred as “limbo” which has struck a part of the population doomed to months and years of waiting for the next stage in their life. It involves four strategic partners: two international NGOs, CRS (Catholic Relief Services) International and IRC Hellas (International Rescue Committee), the University of Athens and the Athens Development and Destination Management Agency S.A.
From Brussels the Mayor of Athens, Georgios Kaminis stated that: "I am particularly glad that once again City of Athens’ engagement in social innovation projects and especially its’ linking to the important issue of refugee integration is being awarded and supported by European funding, proving that cities can provide solutions to the multiple challenges Europe is facing”. 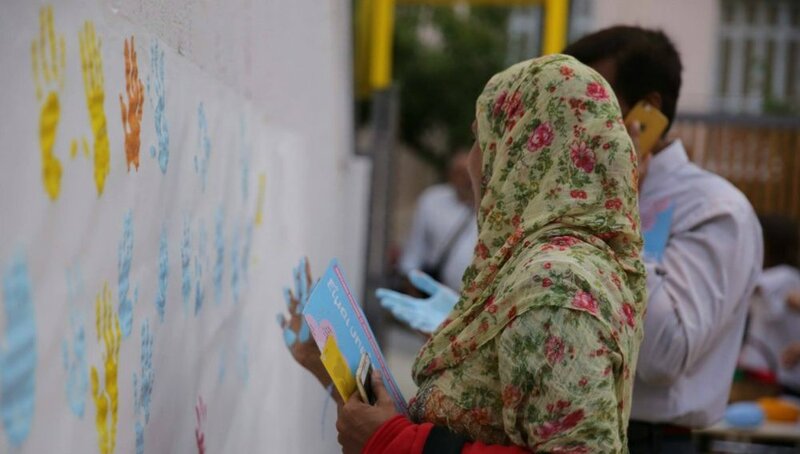 The program connects refugees with active citizens of Athens offering an escape from inertia through their participation in activities for the public benefit that respond to existing needs of the city. At the same time it develops the soft skills required for the refugees’ integration and offers incentives and tools for the acquisition of affordable housing. The idea addresses a universal phenomenon burdening the spirit in many other European cities: The inactive population, whether it consists of newly arrived refugees, under-skilled migrants, unemployed locals, or solitary pensioners, is a challenge of our times. “Athens’ proposal was based on the experience earned by the City of Athens in the last two years by managing the refugee crisis through the Coordination Center for Migrants and Refugees-which is exclusively funded by the Stavros Niarchos Foundation and facilitated by the Athens Partnership-and the Accommodation Program for Asylum Seekers. Through these initiatives we realized that there was an unaddressed urgent challenge in the city. The implementation of the idea will be coordinated through synAthina, which connects Athenian civil society with local government to maximize impact”, stated Amalia Zepou, Vice Mayor for Civil Society and Innovation. synAthina was a 2014 winner of Bloomberg Philanthropies’ Mayors Challenge, an ideas competition for cities.